I propose this attack today at 21:00 UTC or alternatively tomorrow, what do you think, Blotz? I, as leader of the new Revolutean Front, would like to schedule a battle for zone 26. I think Kip has time from June 25+. I have time from June 21+, but on June 23 only UTC evening/night. After The battle for zone 26, the MOOse front will attack zone 26. We rethought our battle plan. Whether that be fiah's or bla's front. Ok, I suggest we fight the first battle on Friday 27 at 22:10 UTC, and the second one at 23:10 UTC. Red Front from Zone 25 attacks The Blue Front in Zone 28, on Saturday 11 at 19:00 UTC? they even cleaned the flag up minutes after! using the excuse taht they wanted the flag to face a different direction! how lame. 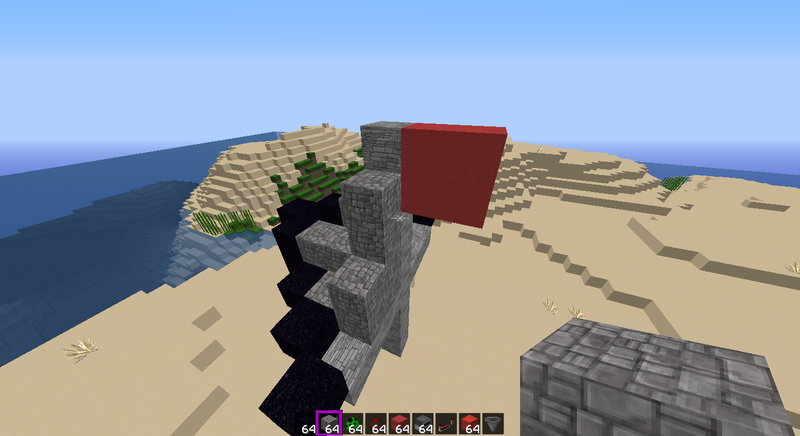 I didn't see what happened when the flag was replaced, probably haven't recorded it, but we'll see when I upload the vid. I'll have to take Komrage's and Ventus' word for it, and the others who were present, and if really necessary check the logs. I was the one who cleaned up the flag a bit after the battle though, and yes that was to make it face the same way as all the other Red Front flags, which face in the direction that the clouds move, which they should if you take into account wind. I never wrote that in public though but I guess someone figured that out. That's not an excuse, it's a fact. Since people left I assumed there wasn't a dispute over the zone, but the logs can tell when which blocks were placed and broken if necessary. The block Ventus placed is accurately described by Komrage above, you can see it in the battle video around 12:50. Could you make the sheet public? They seem a bit expensive, requiring lingering potions which requires fighting the ender dragon, so to keep the BG more economical maybe we should ban it, but I'm not sure. What do people think? I think Zone 27 is owned by the Red Front? According to the map and BG log topic.